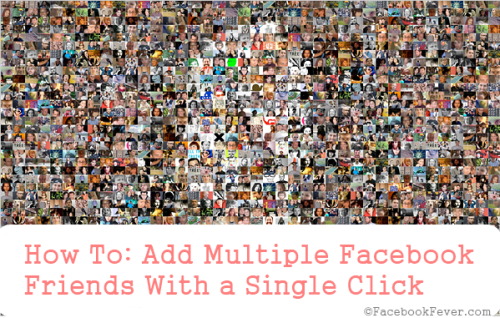 Do you wants to add Multiple Facebook friends at once with a single click? If yes, then this post is for you. 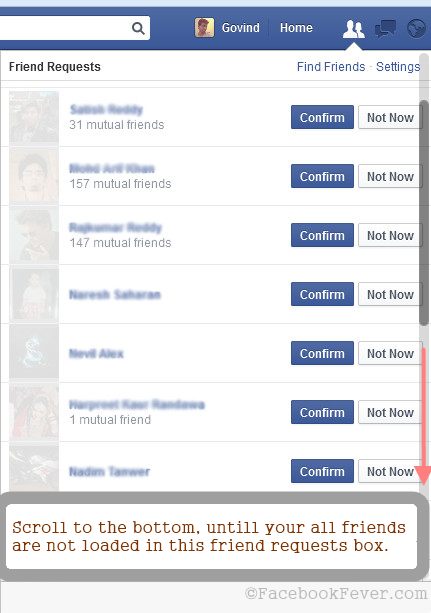 I have create a script that lets you add all your pending Facebook friends requests at once with a single click. Note, that this script is for approving the pending Facebook friend requests at once not for adding new Facebook friends or sending requests like a spammer. This post is just for the educational purpose, this should not be use in any spam way. I created the script to save your time in approving the multiple Facebook Friend requests. Step 1 : Navigate to your Facebook Homepage (facebook.com) in Firefox browser and click the friends icon at the top where the pending friends requests are shown near Facebook Messages icon. Step 2: Scroll to the bottom of that Facebook Pending Friend Requests so that your all pending friend requests are loaded in the widget and script fetch all the items. Check out the below image! After your friends are loaded in the friend requests box, follow the below step. Do you like my efforts? Did it worked for you? Share with me using the below comment box, Yes! you can share your feelings using Facebook comment box ;) I’m waiting for your comments! Don’t forget to share this article with your friends, using the social media buttons given below! Update : How To Invite All Facebook Friends To Page, Event With A Single Click How To Download Any Facebook Album With A Single Click How To: Organize Your Facebook Friends [Ultimate Guide] How To Create Facebook Shared Album? How To Hide Facebook Sponsored Page Posts In Newsfeed How To: Tag Friends On Facebook With Mobile And from PC [Full Guide] List Of All Facebook Keyboard Shortcut Keys How To Create Event Through Facebook Fan Page?